Upgrade. Destroy. Make it your own. Prepare yourself for a game where you'll not only permanently upgrade cards with markers, but you'll be physically destroying others; the world's first legacy deckbuilder. 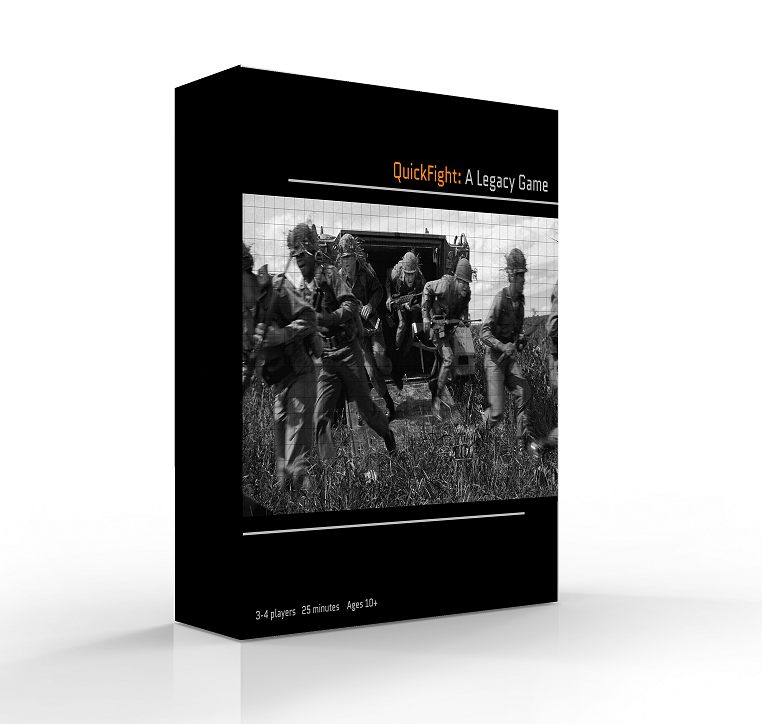 Over the course of the 12 game campaign, you and your group will create a version of QuickFight that's unlike any other in existence, and infinitely replayable. And at the end, you'll be able to play your decks against your friends. The best part? You can learn and play a game in 25 mins or less. QuickFight is the perfect lunch-break game.